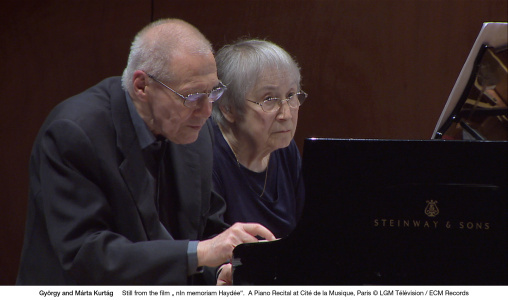 Subtitled “Játékok – Games and Transcriptions for piano solo and four hands”, In Memoriam Haydée, directed by Isabelle Soulard, is a film of a Kurtág concert at Paris’s Cité de la Musique on 22 September 2012. Játékok has a curious place in Kurtág’s oeuvre, with origins in a dark period of his creative life. After completing his Hungarian cycle, The Sayings of Peter Bornemisza in 1968, György Kurtág found himself in the grip of a "compositional paralysis” which dragged on for more than three years until the idea of the ‘Games’ began, hesitatingly, to present itself. "In my case, it is the composition that sets the rules, and not the composer” he has said. “ If I knew in what form I wanted to compose, if I knew exactly that a piece should be like this or like that, I wouldn't be able to write it. The music can only come into existence when it decides to. And then this Something is cleverer than me, and it finds its own way." The idea of “a pilgrimage to childhood” emerged, and a good-humoured unsystematic approach to teaching contemporary keyboard techniques to young players, with early pieces in the Játékok series including use of clusters, glissandi, harmonics, playing with palms and forearms – a wide range of gestures. But as the collection of short pieces developed it has taken on a much broader ‘autobiographical’ character, becoming a compendium of tributes to other composers (from Scarlatti to Stravinsky and Christian Wolff), literary references, greetings to friends and colleagues and more. It’s a diary, a notebook, a crucible, a gathering together of expressive miniatures, epigrams which pack a punch, with “shortest possible parts, where one uses the material to the max”. And it’s a work that has gained strength through contrasting and cross-referencing with other music, most especially Kurtág’s much-admired Bach transcriptions, threaded throughout the performance here. The programme closes with a radiant version of Gottes Zeit ist die allerbeste Zeit. The performance is dedicated to the memory of the Kurtágs’ good friend, musicologist Haydée Charbagi (1979-2008). "If any contemporary composer can persuade the musical world that compositions of between 30 seconds and four minutes in length are the natural vehicle for progressive post-tonal music, and therefore for the music of the future, that composer is György Kurtág. It's an indication of the strength of traditional aesthetic values that we still refer to such works as 'miniatures', a label that always implies some degree of superficiality, as if a truly profound experience can only be had from unbroken structures of far greater length. In reality, of course, many large-scale post-tonal works are simply too long: but that's another story. The point of this one is that this sequence of compositions by Kurtág, the longest of which lasts just over five minutes, offers a very special experience ­ as memorable and as profound as any to be had from new music today." 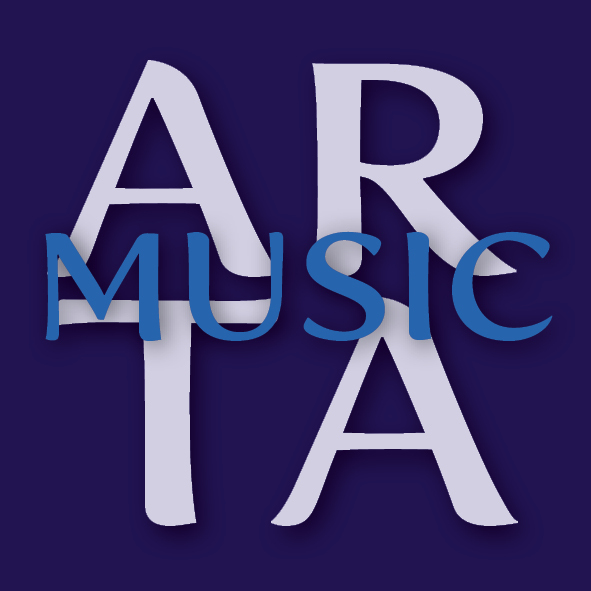 "Kurtág and his wife are the performers here, either alone or in four-hand duet. The range of the vignettes is wide; they are, indeed, a systematic exploration of style in a laboratory spirit …Altogether, a marvellously novel experience." "Mesmerizing (...) The concentrated nature of Kurtág's music, rich in incident and pithy in effect, contrasts in an intriguing way with the more expansive counterpoint of Bach. The transcriptions are points of repose, or, in the case of the Trio Sonata arrangement, of untroubled good spirits. They also serve to highlight the sheer impact of Kurtág's epigrammatic invention." "A revelatory disc of fragmentary piano 'games' by this 71-year-old Hungarian composer, interspersed with his own moving transcriptions of Bach for four hands. This conjunction of contrasting styles gives a powerful focus to Kurtág's own declamatory, often childlike and infinitely varied music."